Simply Living: Best pineapple ever! What's bright yellow, sweet and juicy? The best pineapple ever, that's what! And I grew it myself! Wahoo! Look what I grew! This wasn't the first pineapple I've grown - far from it - but it was certainly the biggest, the juiciest and the sweetest one yet. A bowl full of sweetness! What makes one pineapple better than another? Each one I've grown has come from store-bought fruit. Just your typical grocery store pineapples. 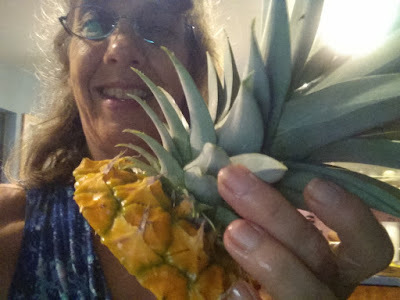 It could be the soil or location, weather conditions or a combination of those factors that enabled this most recent pineapple to develop into such a large and tasty fruit. I suppose I'll never know for sure. What I do know, is the delight I've found in growing (and eating!) my own pineapples. If you haven't tried growing one yourself yet, give it a try. 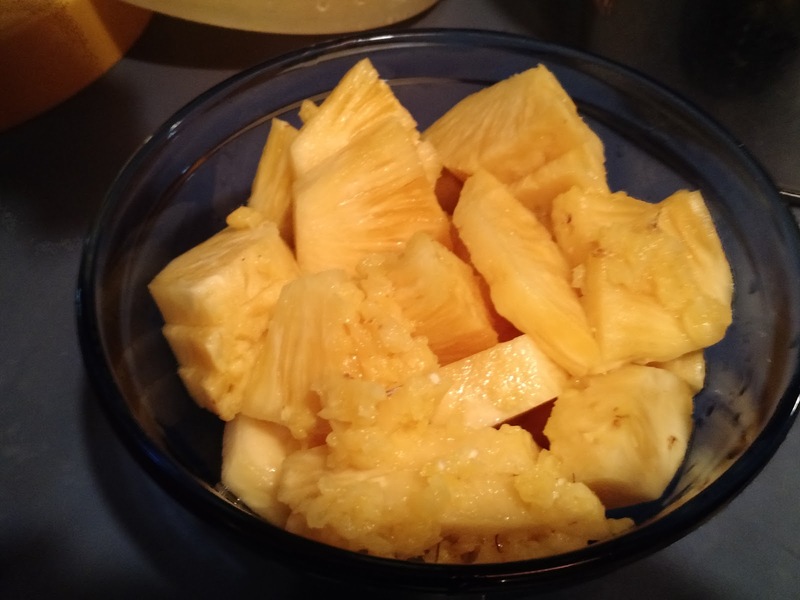 Pineapples are among the easiest fruit to grow. Simply cut off the top of a store-bought fruit and place it in a scraped away spot of soil. 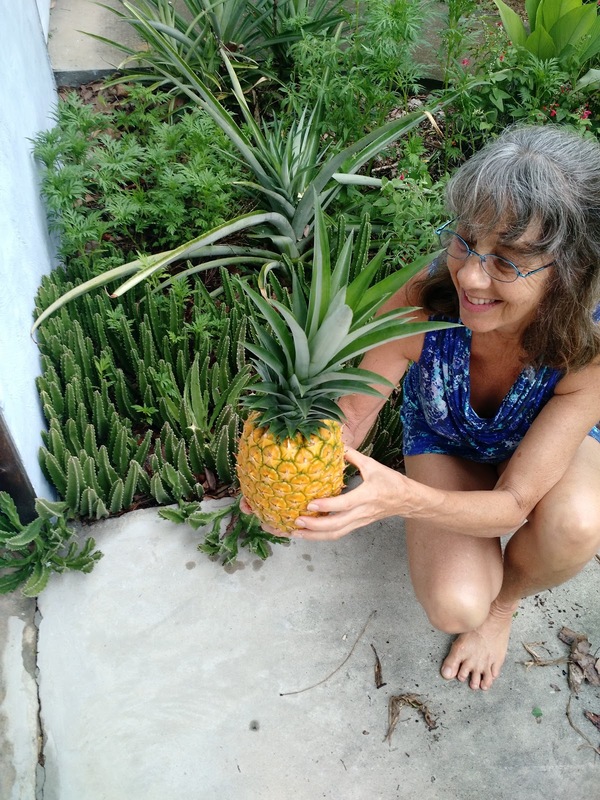 Pineapples can be grown in a sunny spot or in the shade. I've successfully grown them in both. The pineapple top doesn't need to be buried deeply. It doesn't need any special soil. 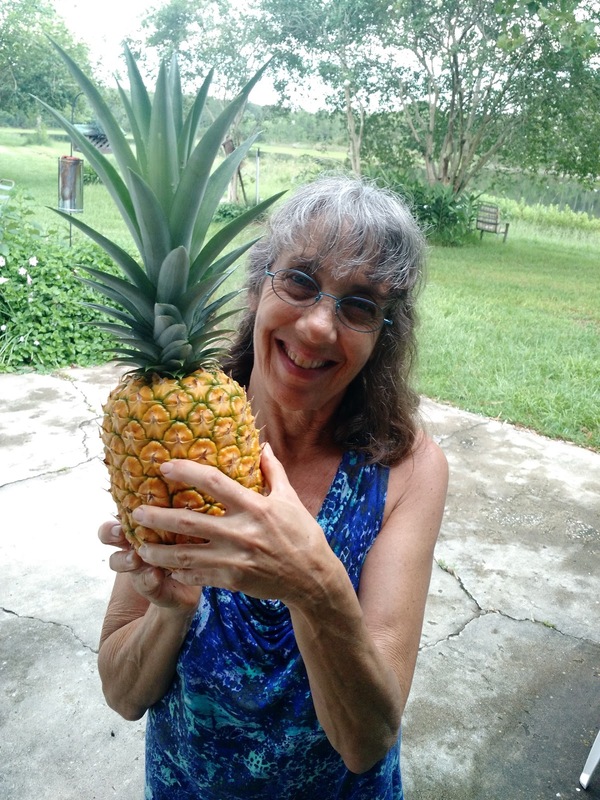 Pineapples, which are in the bromeliad family, are no-fuss plants. Once one has been set in the ground its only requirement is to be left alone. What do you do to protect from rabbits, squirrels and other critter? They certainly know when to strike. How many butterflies can you find?